Full details on any title are available by clicking on the title. You can also see these books in chronological order with covers. We are publishing many new conference proceedings through Cascadilla Proceedings Project. These proceedings are printed in traditional library binding editions and are fully readable and searchable on the web. Cascadilla Proceedings Project is at www.lingref.com. Cascadilla Press is an independent scholarly publisher of linguistics books, software, and teaching aids. 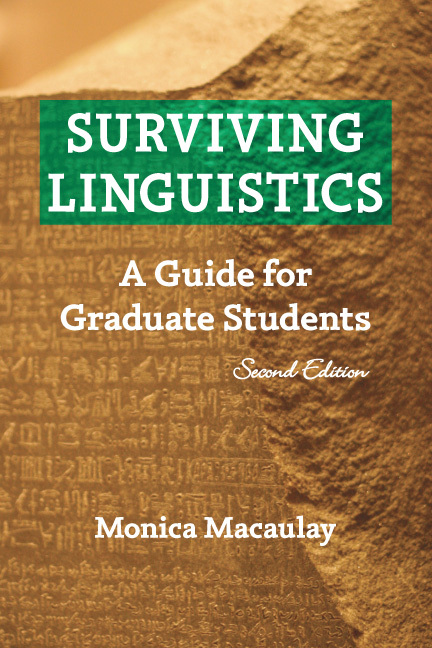 "Surviving Linguistics should be standard equipment for anyone trying to enter academic life in our field." 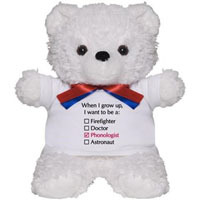 Find apparel, IPA posters, and fun items at our CafePress store, including clothing for baby linguists. We post announcements of new titles, upcoming book exhibits, and other news at the Cascadilla Press blog.